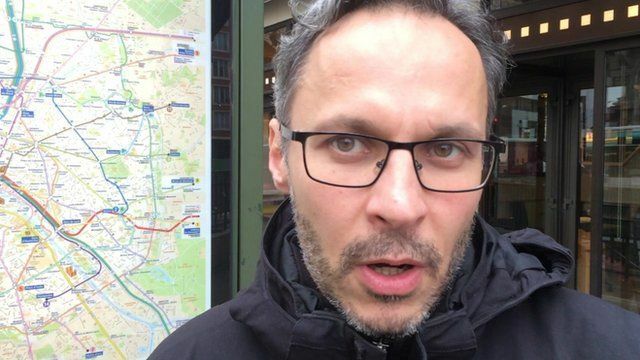 French teacher on Muslim pupils' reaction Jump to media player A French history teacher describes how his mostly Muslim pupils reacted to the Charlie Hebdo attack. Angry protests over Charlie cover Jump to media player Muslims in countries across the world are continuing to voice their anger over the publication of images of the Prophet Muhammad by French satirical magazine Charlie Hebdo. How events unfolded in Paris Jump to media player Gunmen have attacked the Paris office of the French satirical magazine, Charlie Hebdo, killing 12 people and injuring seven. Aftermath of Paris print-works fight Jump to media player The print-works that the Kouachi brothers fled to has been left severely damaged by the fire-fight which took place there. Iannis Roder teaches history to 11-15-year-olds in Saint-Denis, a largely immigrant town just north of Paris. Most of his pupils are Muslims. Speaking to the BBC's Henri Astier, Mr Roder described his pupils' reaction the following day.